"To be able to be given this opportunity is just something special and I'm one step closer. I feel like I've got my foot in the door and I'm ready to kick it down." "It might seem selfish, but I'm a competitor and I like to compete and I just wanted to challenge myself and my body," he said. "It's obviously a dream to play in the NRL and as a kid that's all I wanted to do. 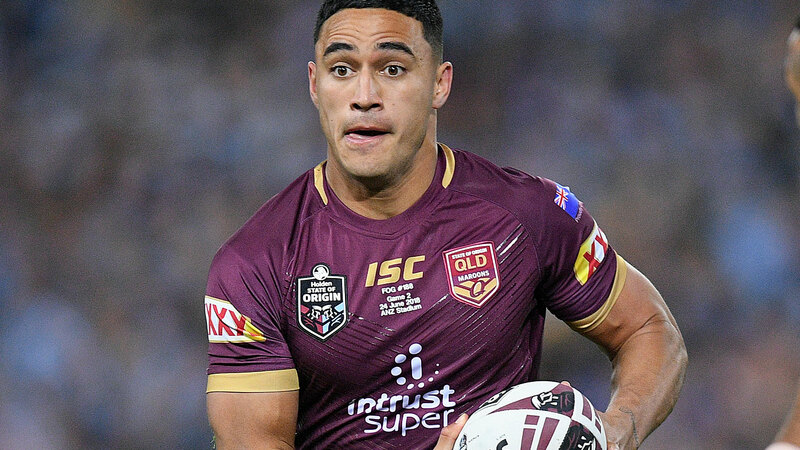 I wanted to play for Queensland and I wanted to play for my country. Holmes will be on the Jets' roster until the end of training camp, where he will compete and practice alongside other Jets players for a spot on the 53-man roster. At the end of training camp if he doesn't make the cut, as part of the Pathway program, Holmes is eligible for an 11th spot practice squad exemption, but in that spot Jets coach Adam Gase is not permitted to activate him during the 2019 season, meaning he cannot play a game. The Jets and other NFL teams will be permitted to open preseason training camp for rookies and first-year players in mid-July, seven days prior to the club's earliest permissible mandatory reporting date for veteran players.